Working with the Internet since it began! We are a small family-run business situated at the edge of the Peak District in the centre of the UK. We've been trading as Future Shock since 1995 and became a UK private limited company in 2004. We have a very broad range of experience in the design, programming, hosting and marketing of web-based media. We have worked with clients of all scales, ranging from international investment banks and multinational PLCs to sole traders and personal home sites. We've built e-commerce sites, estate agent sites, bespoke content managed systems, and information websites. We pride ourselves on delivering sites which best meet our clients' needs - whoever they may be and whatever their budget. Where we do not provide a service in-house, we have a bank of long-term trusted associates upon which to call; ensuring we can meet all your peoject needs without you having to source multiple suppliers. We have extensive experience in the internet development sector, but our expertise extends further into the application programming and digital media world too. We've produced 3D animation for television and computer games, architectural fly-throughs, designs for print, and developed application for multinational investment banks. We started our own hosting company in early 2003, after many years of problematic hosting with other providers. Our hosting plans have been designed with our extensive experience of the internet and provide a combination of flexibility and reliability at a cost unrivalled elsewhere. If you require any more information, please don't hesitate to contact us. Future Shock Limited. Registered in England and Wales number 5090846. 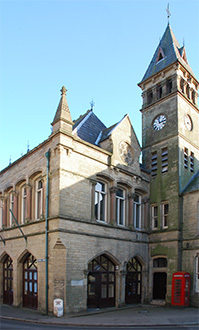 Registered Office: Atrium Office, Town Hall, Wirksworth, Derbyshire, DE4 4EU, United Kingdom.